Home-grown food companies seem to be the flavour of the season. Global food major Kellogg’s interest in desi brand Haldiram’s is just one of the many potential deals in the sector, say experts, as local firms look to cash out in a growing market. Snacks and dairy, in particular, are two areas where investor interest remains high as national and international food companies eye a bigger foothold in these segments despite steep valuations. The asking price for companies in the snacks segment is three to five times annual sales, and in dairy, it is one to two times sales, depending on the asset on the block, said private equity investors. In the last six months to a year alone, there have been at least four major deals involving local snacks and dairy firms, lending heft to this thinking, say analysts. These include Lactalis buying Prabhat Dairy’s business for Rs 1,700 crore, and Danone’s investment in yoghurt maker Epigamia and ice-cream brand Hokey Pokey, all in January. Hindustan Unilever acquired Adityaa Ice Cream in August last year and Prataap Snacks snapped up Indore-based Awad Snacks in September. Add to this the private-equity and venture capital activity in food and beverages in the last one year and it is clear what investors want — a bigger share of the local market. 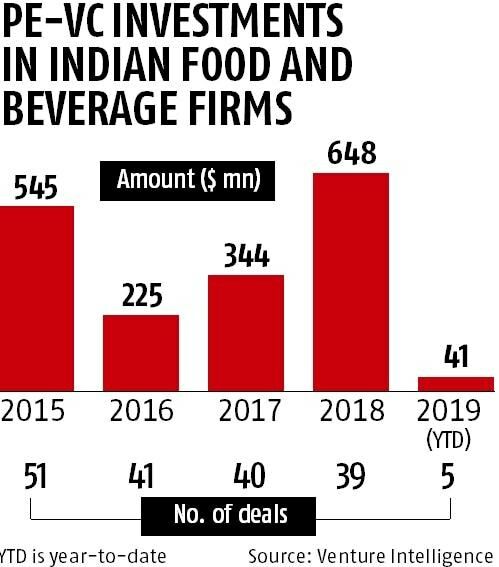 Data from research firm Venture Intelligence shows that PE-VC investments in local food and beverages firms in 2018 was the highest in terms of total deal value in four years, standing at $648 million (or Rs 4,536 crore; $1 taken at Rs 70). In the case of snacks, for instance, taste and flavour profiles are very local, says Dhanraj Bhagat, partner, Grant Thornton India. International food companies, he explains, also do not have the necessary skill sets and know-how to make their presence felt in Indian snacks, which is a big segment, hence investor interest and activity. Branded salty snacks in India, according to industry estimates, is pegged at around Rs 25,000 crore, estimated to touch Rs 35,000 crore in the next few years. 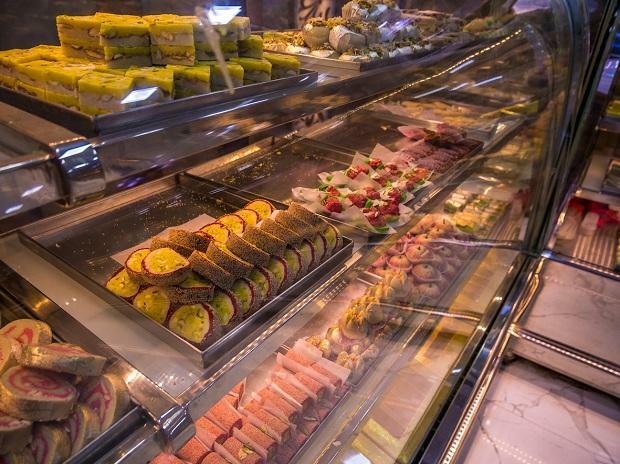 Of this, the Indian snacks segment is around 60-70 per cent, with the balance constituting western snacks. In dairy, says Sachin Bobade, research analyst at Mumbai-based brokerage Dolat Capital, the quest by acquirer companies is access to every end of the value chain, from procurement to processing, distribution and marketing, pushing up valuations of local firms. Prabhat was picked up at 1.1 times its FY18 sales by Lactalis last month. In 2014 too, it paid Rs 1,750 crore when acquiring Hyderabad-based Tirumala Milk, which was 1.22 times the latter’s FY13 sales of Rs 1,424 crore. It also coughed up nearly Rs 500 crore for the dairy business of Indore-based Anik Industries, a small regional player, to make inroads in the north in 2016.